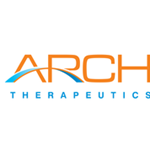 FRAMINGHAM, Mass., Dec. 06, 2018 (GLOBE NEWSWIRE) -- Arch Therapeutics, Inc. (OTCQB: ARTH) ("Arch" or the "Company"), developer of novel liquid, gel and solid hemostatic and wound care devices, presented an update on its corporate milestones, plans and timetables at the LD Micro Main Event XI in Los Angeles, California. Chief Executive Officer, Terrence W. Norchi, MD provided the following summary. The Japanese Intellectual Property High Court has favorably ruled to affirm the prior trial decision and maintain without any amendments Japanese patent number 5204646, which is part of the intellectual property estate that Arch has licensed globally and exclusively from the Massachusetts Institute of Technology and Versitech Limited (“MIT”). The company has filed two new patent applications, one of which addresses self-assembling compositions for the treatment of eye disease and the other of which addresses self-assembling compositions for the treatment of inflammation. As part of the technology update, a biosurgical product in development for vascular bleeding, such as occurs in surgical vascular anastomosis procedures with native or artificial grafts, was highlighted. On the regulatory front, two filings made in the second half of calendar 2018 were discussed. The 510(k) premarket notification for AC5™ Topical Gel1, which Arch submitted to the U.S. Food and Drug Administration (FDA) in the third calendar quarter of 2018, is currently under review at the FDA and the company remains optimistic that it will be cleared approximately at the end of this calendar year. Further, in the fourth calendar quarter of 2018, Arch submitted the required documents for AC5™ Topical Hemostat (AC5)1 to its Notified Body seeking its first CE mark and representing a next step on the path to commercialization in countries governed by the European Medical Devices Directive (MDD). The company expects the related review and CE mark approval process to conclude in the second calendar quarter of 2019. The presentation is available at: https://www.archtherapeutics.com. AC5 is currently an investigational device and is limited by federal law to investigational use.